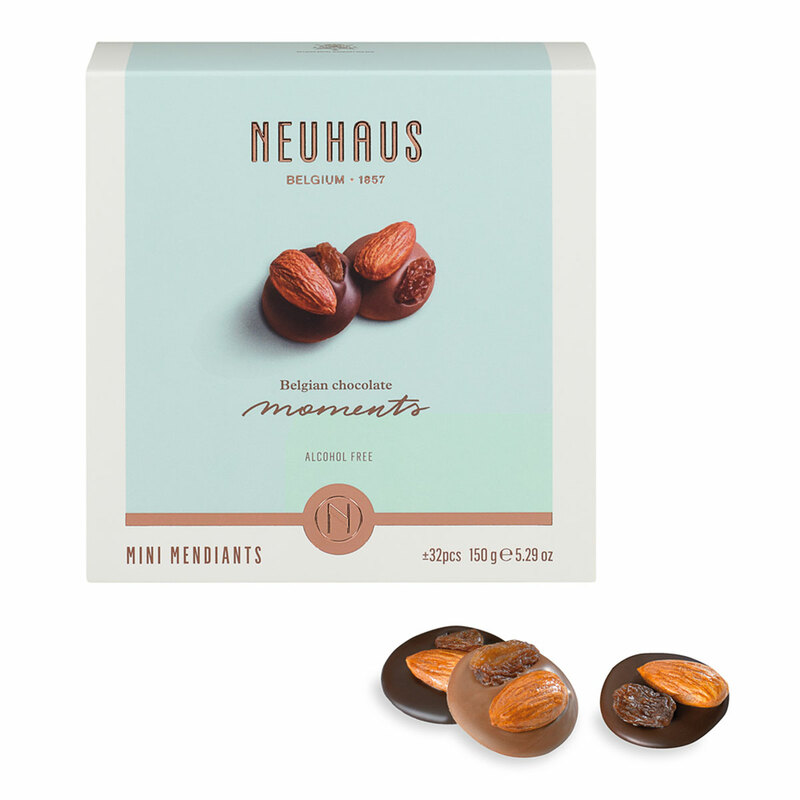 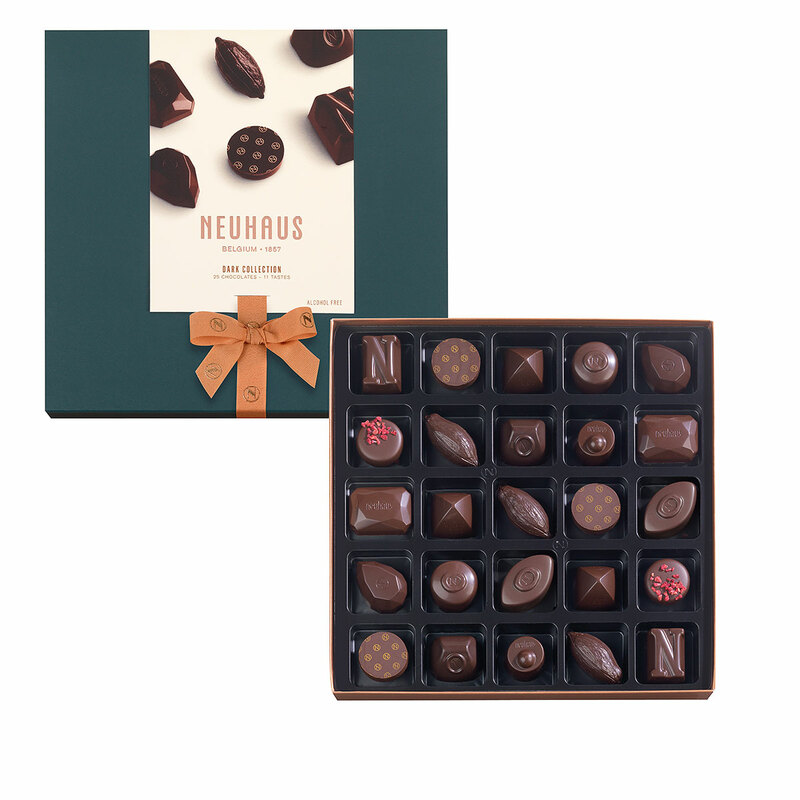 This luxurious gift box full of Neuhaus chocolate is the perfect gift for the self-proclaimed chocolate connoisseur. 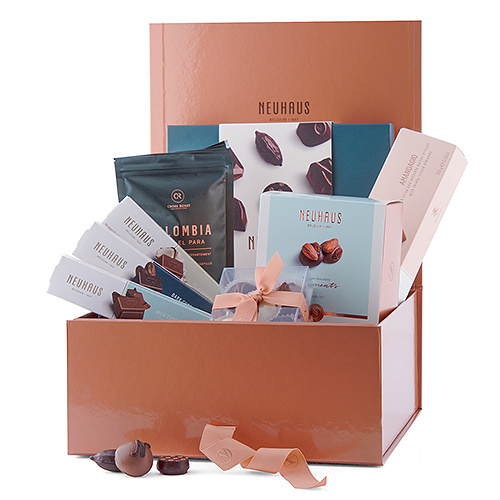 With its elegant look, this chocolate indulgence box with chocolates, chocolate bars, mini Mendiants, Manons, coffee, and biscuits is a fantastic gift for all your business associates and customers, but also for your friends and family. 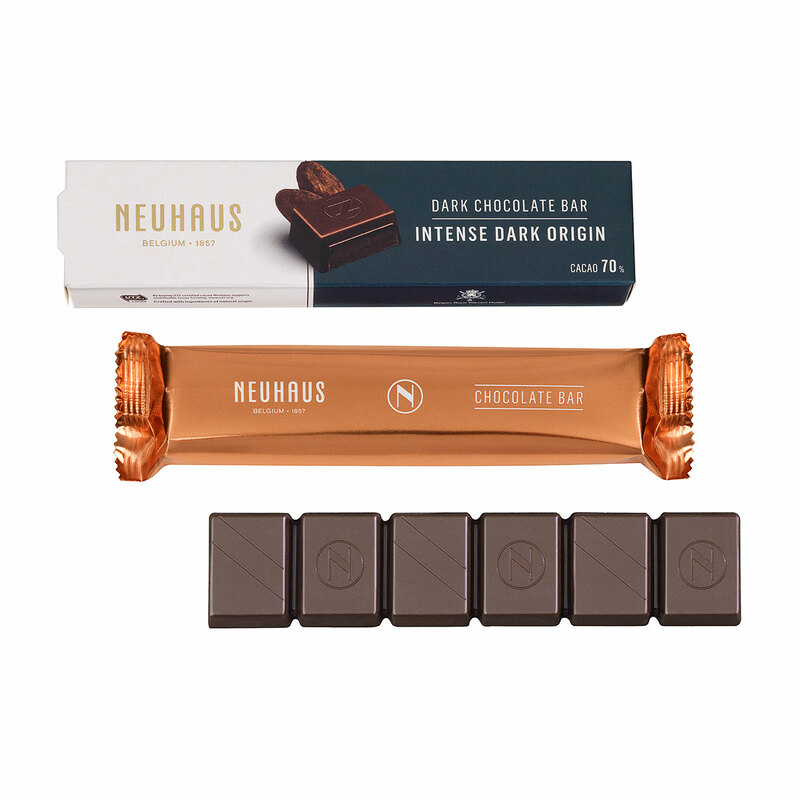 The Dark Collection offers a delicious tasting assortment of dark chocolate pralines with fillings of praliné, ganache, caramel and much more. This gift box is pure luxury of the highest level! 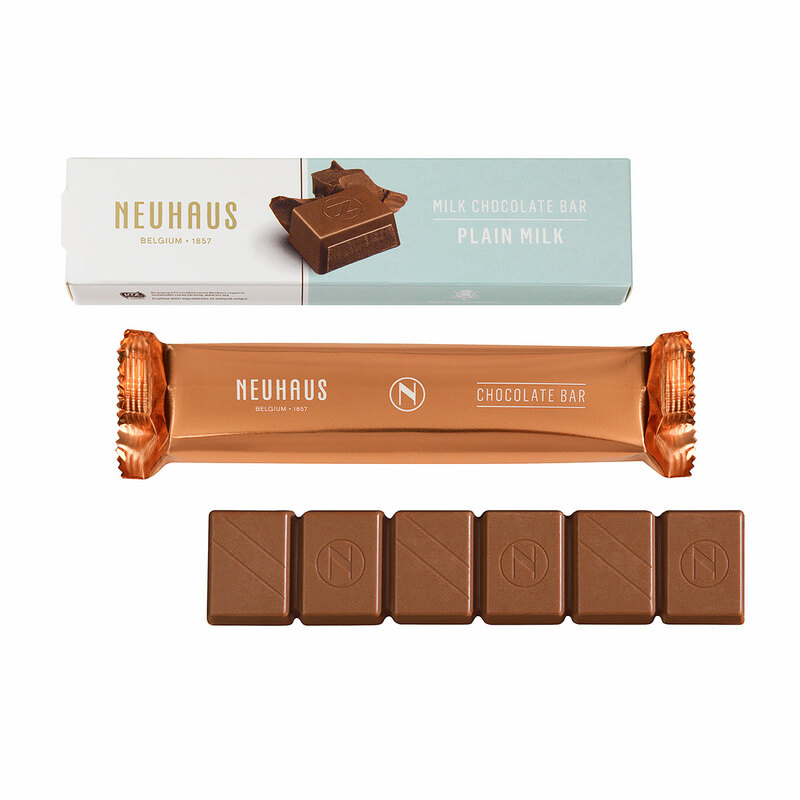 The Colombia roast coffee offers a fantastic aroma; a coffee that you take time to enjoy. 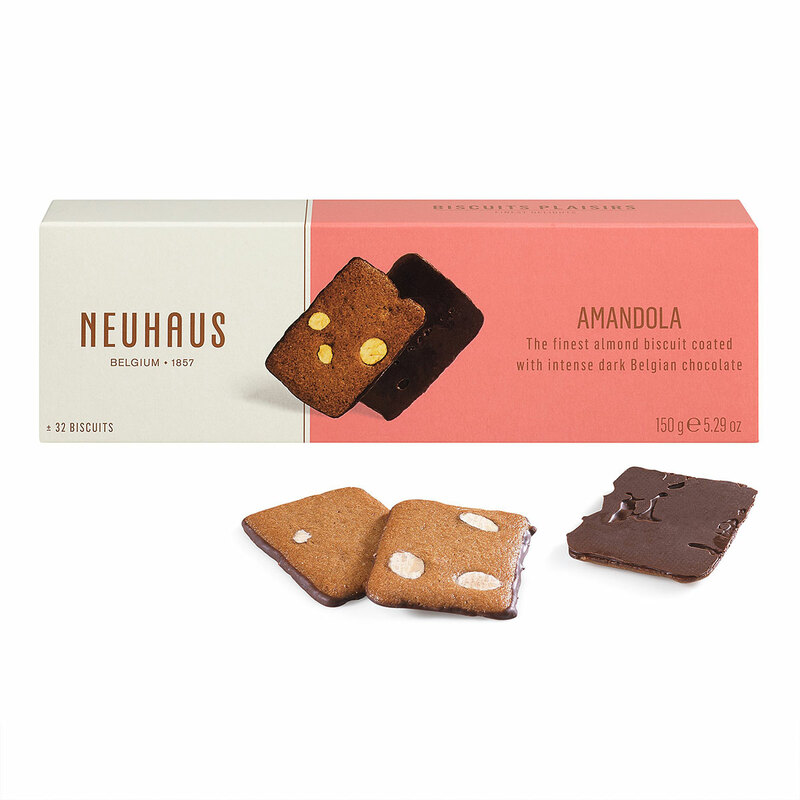 Together with the mini Mndiants, Manons, chocolate bars, and the Amandagio biscuits, this is the ideal treat to relax and revive in the afternoon.